In this digital age, your website is a key communication tool for your business and in most cases it should help drive sales. However, a poor design, slow experience or a website that doesn’t function properly can lead to visitors leaving before buying any products, or worse, browsing and selecting products to purchase only to find that the process is too complicated to complete. 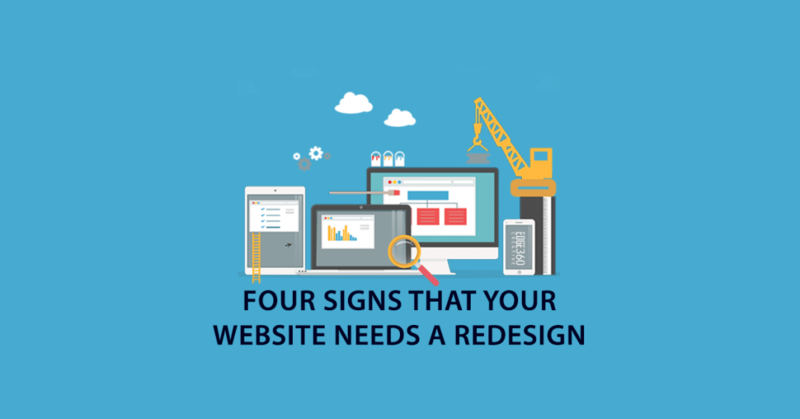 Here’s four signs that your website needs a redesign. Of course, every visitor isn’t going to be interested in your offering so your conversion rate will never be 100%. However, if your site’s conversion rate is low, perhaps it is time to rethink your approach or test another design. Computers, laptops, tablets, smartphones… We now have so many devices that make light work of internet browsing wherever we are. It is important that your website is responsive, meaning that it renders correctly based on screen size, platform and orientation. It is a very jarring experience when site displays improperly on a mobile device. Another factor you should consider is load time. If your site takes more than a couple of seconds to load you have a higher chance of losing potential customers and taking a hit on your search engine placement. Turns out that both people and Google love fast sites. The longer people have to wait, the more likely they are to leave and visit a competitors website, so make sure you test your site regularly to ensure it provides a fast, pleasant experience. It can be difficult, but your approach to website design should always be fluid and aspects of design that work well today are very quickly replaced by innovations tomorrow. If you don’t continuously tweak and improve your design to keep up with these innovations, then you may fall behind. However, it can be quite difficult to stay on top of the latest technology and trends if you’re not a tech savvy web designer. That’s one of the reasons that working with a professional digital agency is beneficial. When browsing your competitors websites, keep an eye out for new technology and design that works well, then analyze the benefits and decide if you should implement similar changes. In general, you should always be looking for ways to improve your site’s design, because this sends a signal to your visitors that you’re a dynamic business keeping up with latest trends, and it may also boost your site’s performance and search engine placement. There’s numerous reasons why someone might leave after only loading the homepage. This metric, combined with other considerations, may help you identify if design is the reason your website isn’t converting. However, the deeper issue here could be with the overall design of your site. To identify if people are browsing multiple pages and still not completing your call to action, you should study the pages/session rate. Pages per session broadly gauges how compelling users find your content and the ease of access. If your visitors are browsing multiple pages without fulfilling your call to action, this may indicate an issue. Perhaps the issue is with the product or price, but it could also be a navigation problem. If it isn’t clear to your customers how they can purchase the products or complete your call to action, they are more likely to leave the site and visit a competitor. Redesigning your website can seem daunting. It takes time and skill to make sure the design fits your brand and that it provides a convenient experience for your visitors. However, your products and services deserve the best platform and a well-designed website can be a very effective tool.